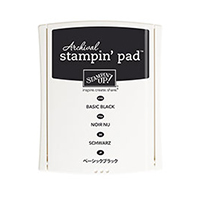 Stampsational: Best Day Ever for a Stampin' Celebration! 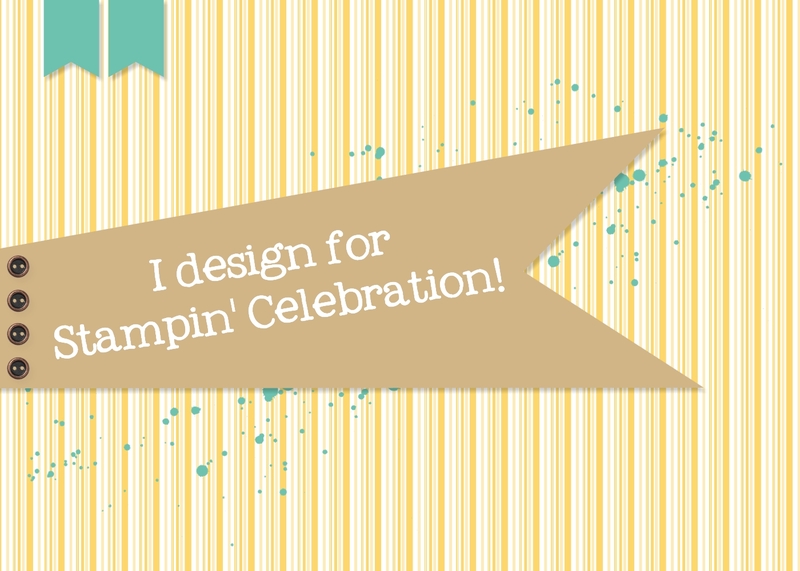 Best Day Ever for a Stampin' Celebration! I am excited for July, and while I don't want summer to go by too fast, July is always a fun month! 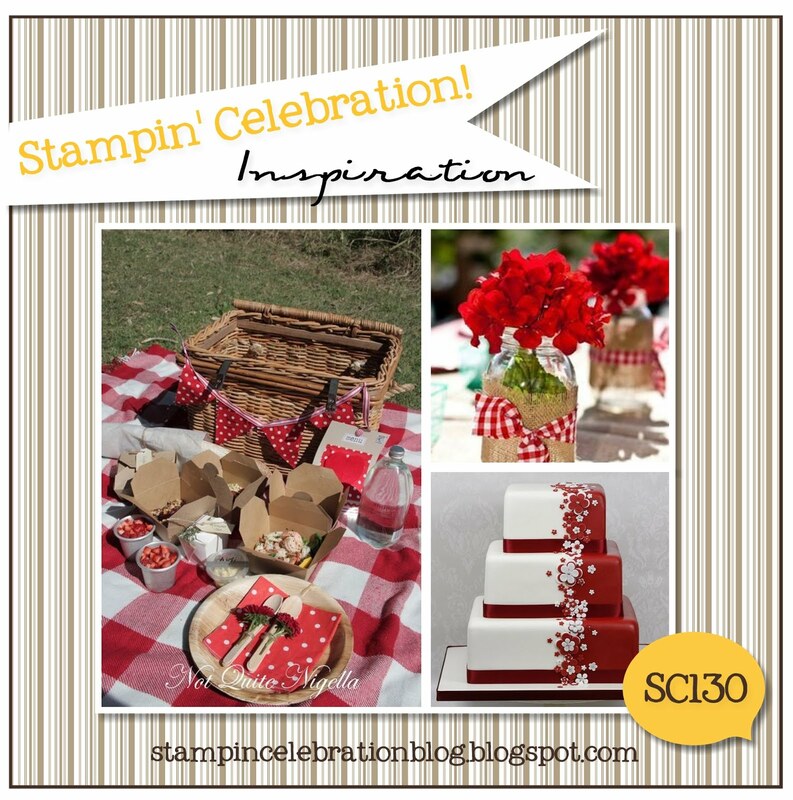 I hope you will be able to join us for the Stampin' Celebration July inspiration challenge. It's a fun one and has so many options, as you can tell by the various options the design team members created, as well as our guest designer! 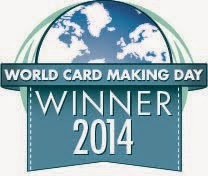 My card drew inspiration from the gingham table cloth and burlap! I love gingham, so I was excited to be able to create something with this style. 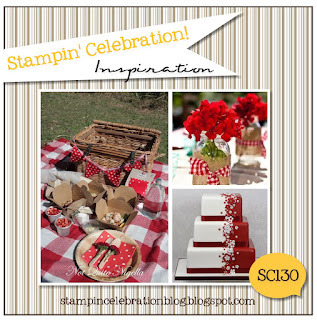 To create the gingham look I used the Brushstrokes stamp from Stampin' up! 2016-2017 Annual Catalog. 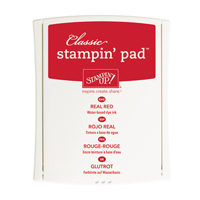 I stamped the image vertivcally and then horizontally using Real Red ink. 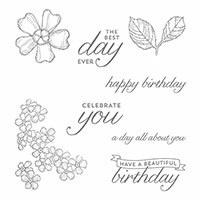 The greeting was is from the Birthday Blossoms stamp set and is stamped with Basic Black Archival ink. 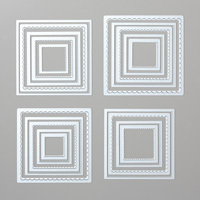 I used the Layering Squares framelits and the Big Shot to cut the layered squares (whisper white, real red and tip top taupe). I added a few white enamel dots as embellishments. Fairly simple card and I love how the gingham effect turned out. 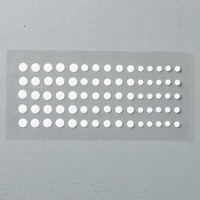 Now I know what to use in case I need a gingham background in the future! 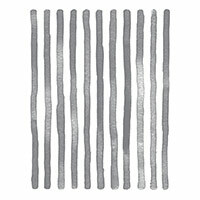 I wonder how it would do with a plaid effect?!? Hmmm, could be something to play with this weekend, that, or do homework. Hooray for a Pop of Pink! Summer Fun Hip Hip Hooray!